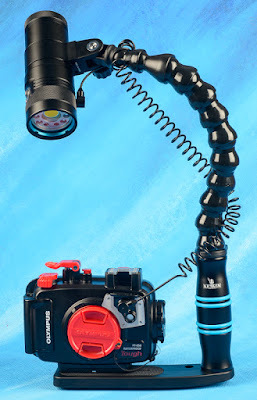 The Olympus TG-5 camera and housing packages have been very popular with a wide variety of divers. The camera shoots great stills as well as 4K video. It has Olympus PT-058 housing, or the Ikelite and Nauticam housings give protection to 140', 200' and 300' respectively. Having a lighting system that can shoot both stills and video gives the widest possible use of this great little camera. 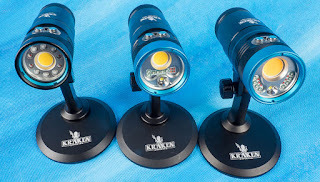 The new Kraken Hydra "S +" lights that now come in a 2500, 3500 and 5000 lumen models, as well as the popular Kraken Macro Ringlight 3000, all support a higher lumen output in a fast "burst" mode that saves power and gives a higher output for still photos. You connect up the camera to the light with a fiber optic cord and the onboard flash triggers the light. The light is much brighter in "burst" mode, up to 7000 lumens on the Hydra 5000. However it still doesn't give the instant, super high intensity light that freezes the subject and gives high color saturation that a strobe can. But for general use where you want to shoot video and stills they are a great option. The Kraken Hydra lights come with mounts, case and charger and feature a sealed light head against flood damage. 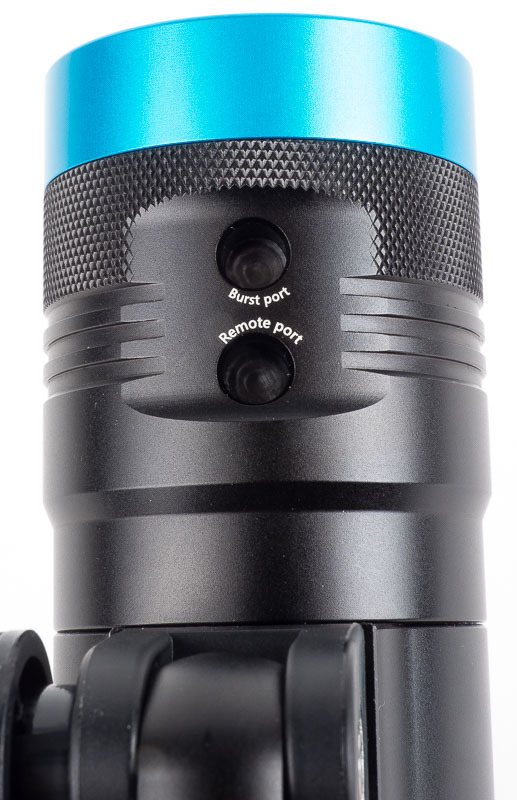 Besides utilizing the burst mode you can also control them with a fiber optic connection to a handy remote control. Optical Ocean Sales has a wide selection of packages from single compact to complete dual "ultimate" systems that come with one or two lights, trays and wide angle lenses. The following set-up is for the Olympus TG-5 but also will work with most other cameras, however specific menu items and locations obviously will be different. Setting the camera to the underwater scene modes works fine. 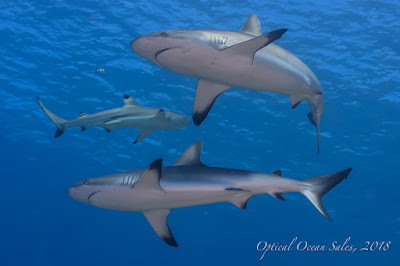 However in underwater snapshot mode on the TG-5, there is no selection possible for fill flash. The other underwater modes do have that flash mode, and should pre-select it for you. If you need to adjust the camera exposure, you can use the +/- exposure compensation, or adjust your ISO. Do not use auto-ISO. There is a manual flash mode on the TG-5 that will work in all modes. This may be the best idea, as you can turn the flash power down and just use it to trigger the strobe. To select manual flash mode, press the flash button, then select "Full", then press "Info" and turn the power down maybe to 1/20th (but not all the way) with the left/right arrow buttons. This will save your camera battery. If you want more control over the camera, then use aperture priority or program modes. This is recommended for macro modes. Set the camera flash to fill or manual as above. The Kraken light needs to be on, with the right button held down until it starts flashing. You can shoot stills or video in that mode from the white flood mode. You can also use the red or uv modes of the Kraken light and take "burst" white light flash stills. While in normal mode, push the left hand button on the light a few times to red or uv mode. Then hold down the right button until the colored indicator lights flashes, showing that the light is in burst mode. If you then press the right button, it will flash high intensity white, like a "test" button on a strobe, then switch back to red to use as a focus/target light. This is a good mode for night or around shy critters like squid, crabs, octopus, etc. Press and hold the left hand button sleeps the light. Holding both buttons down turns it off.